Baile Atha Cliath means "place of reeds of the ford hurdle": The Gaelic name of the city, whose English name of love to "Devil's Inn" is derived - where the devil resides. This would Beelzebub one of nearly half a million inhabitants the biggest city in Ireland. Nowhere else in the economic recovery has manifested so clearly as in the glistening facade of modern hotels and banks along the River Liffey. Nevertheless, there continues the traditional, middle-class Dublin in scenic, colorful facades and everywhere-present Irish folk music type a fitting testimony to this. Besides the traditional attractions (Trinity College, Leinster House, Dublin Castle, The Grave Digger's) are worth a stroll through the bustling city: the magnificent Georgian architecture deserves a second look! Also, who takes a look into the tangled back streets, encounter wonderful old-fashioned cafes and shops. Who had enough of big-city bustle, the offer of the nearby Wicklow Mountains, the monolithic tombs of Newgrange and the extensive ruins of the monastery Monasterboice has ample opportunities for day trips. The popular beaches are reachable from the city in a short time. 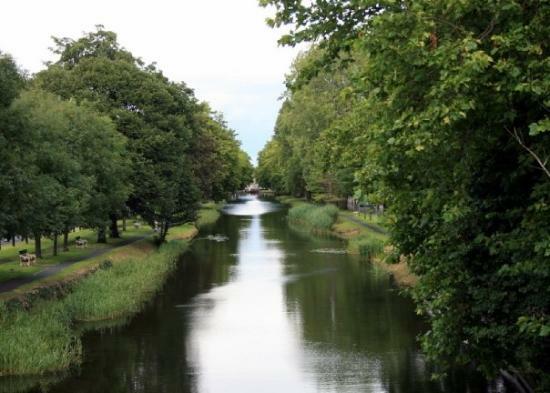 Dublin is an Irish oddity - a diverse, historic city in which the Irish past and European future, a charming symbiosis. And always worth a visit!